The temperature probe (NTC) with clamping bracket is ideal for surface measurements on pipes. 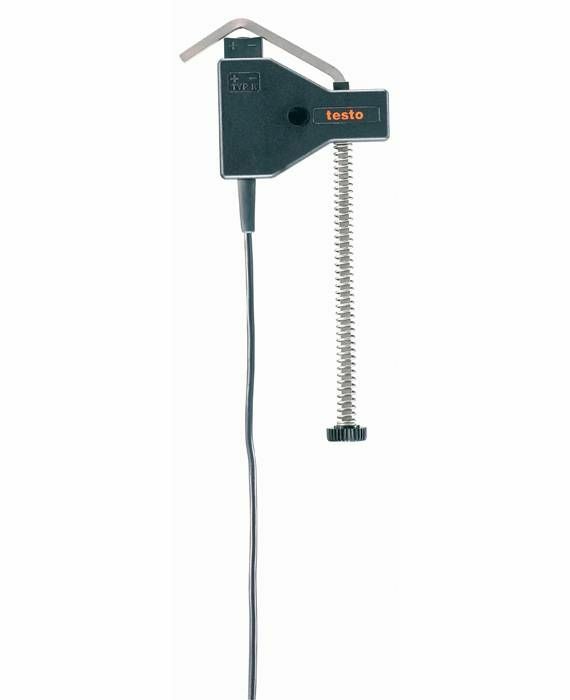 Use this temperature probe with NTC sensor to carry out surface temperature measurements on pipes with a pipe diameter of 5 mm to 65 mm. The probe, for example, enables you to determine the surface temperature of heating pipes. For optimum heat transfer between the surface probe and the measurement object, we recommend using our silicone thermal conduction paste which is available to order separately. Can't see the temperature probe you are looking for? Please contact us directly. We have a large range of standard temperature probes and we also manufacture customized probes specifically according to your personal requirements. 1 x pipe wrap probe (NTC) with fixed cable (cable length 1.2 m).